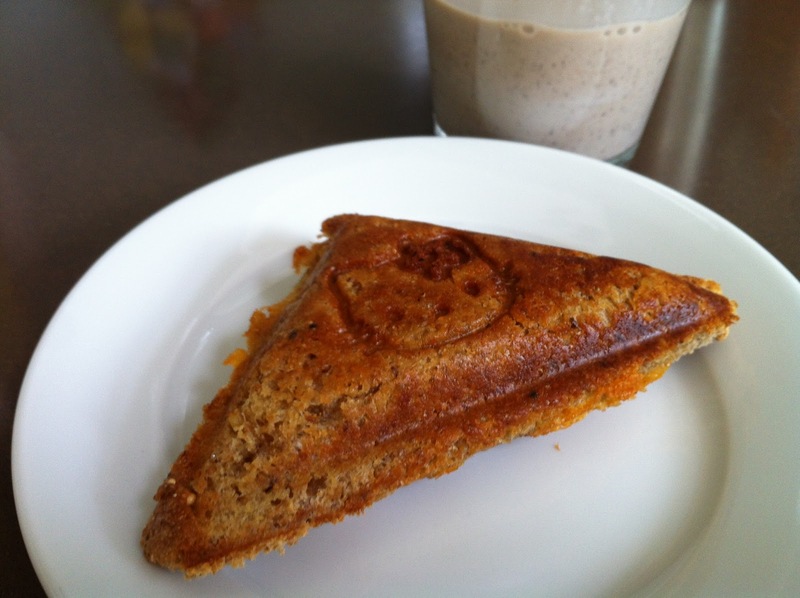 grilled cheese sandwich with chocolate milk | what is clara eating today? i make this for clara whenever she has a play date. it’s very quick and all the kids love it. i make other kids sandwiches with less butter and regular wholewheat bread. they come out looking exactly the same, so everyone’s happy! slice the bread diagonally. slice the butter to 4 thin slices. the order goes, butter, 1/2 slice of bread, butter cheese, butter, 1/2 slice of bread, butter. close the lid and let it cook for 1-2 minutes. For chocolate milk, mix all the ingredients well.